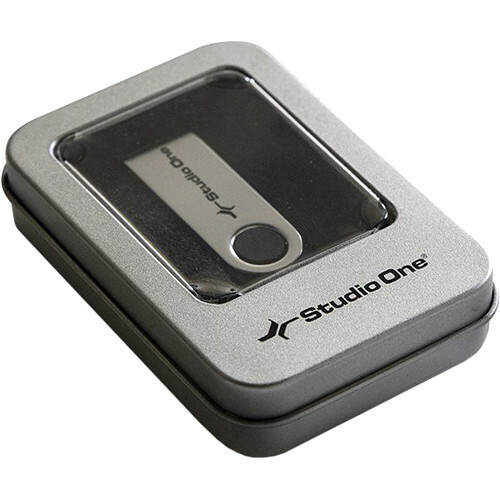 The PreSonus Studio One 4 USB Flash Drive is designed to deliver Studio One 4 installers and all included content to users who do not have a reliable internet connection for installing the software. It is available to owners of a valid license of either Studio One 4 Professional or Studio One 4 Artist. Great for keeping backups of your files, the USB flash drive contains the base program, soundsets, library of loops, plug-ins, impulse responses, and everything else needed for music production. Note: This product does not contain a Studio One 4 license.